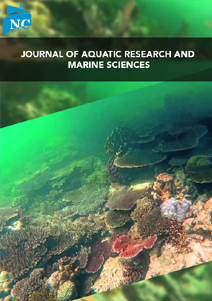 Journal of Aquatic Research and Marine Sciences’s main aim is to publish all kinds of manuscripts from the fields of Aquatic and Marine Sciences. Journal of Aquatic Research and Marine Sciences journal’s main aim is to publish manuscripts in all the fields of Aquatic research and marine sciences and all the manuscripts received under goes attentive peer review process before publication. It acts as a promoter on behalf of all the researchers, academicians, scientists, etc., to promote their high-quality research work online for all the readers to access across the planet. Journal covers all the aspects of Aquatic sciences (fresh waters, marine waters and marine life, etc.,).